Remember when Joe Biden joined Instagram? It would be like that, only a million times cooler if everybody's favorite not-yet-announced-but-hopefully-soon 2016 presidential candidate Hillary Clinton were to finally put down her Blackberry and get on Instagram (sorry Joe, we still love you). 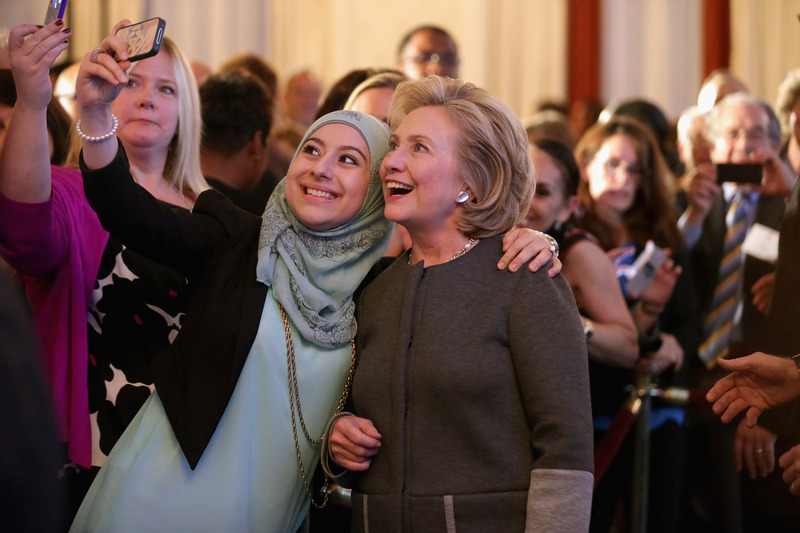 Despite Hillary's apparent familiarity with a number of other technological innovations, being the avid texter and Tweeter that she is, she's undeniably lagging a bit when it comes to the photo-sharing software. Of course, I am by no means suggesting that she join the bizarre world of Snapchat (though if you do, former Senator, Secretary of State, First Lady Clinton, please add me), but it does seem as though a Hillary Clinton Instagram account is long overdue. Both the Obamas have one, Joe Biden has one, so come on, Hillary — join the club! It's presidential. Not that Hillary needs to make her life look any more glamorous than it already is, but it seems like a relatively indisputable fact that Instagram simply exists to enhance your day-to-day existence — at least, the part of it you decide to document for the world to see. And given that Hillary already has a wealth of photographs from which to choose, it seems that populating her Instagram would be a breeze. Plus, her username could be Hill da Beast. You turn those haters on their heads, lady. Hill da Best might be pretty decent too. So dear future-president Clinton, if and when you do decide to join the rest of us on Instagram, here are a few photos that should most assuredly make the cut, complete with caption and filter recommendations. Is that enough to make me the official adviser yet? "I'd be excited to meet me too. #fabulous." I might recommend the Amaro filter here — really bring out the light in this little girl's adorable face. "The wink that launched a thousand pieces of legislation." X-Pro II or Lo-Fi all the way on this one. Really need to accentuate the drama here. "Selfies For Besties For Days. #imfriendswithmeryl." If she's good enough for Meryl Streep, she should definitely be good enough for America. Use Inkwell on this one — best friends are always classier in black and white. And you thought Beyonce was the queen of the side eye. Might I suggest the Hudson filter for an even colder finish? I don't know why you haven't announced you're running either, Hillary. But here's hoping. I think Brannam would really bring out your cheekbones in this one, though. "How I would react if I met myself." Come on, Hillary. Do it for the kids. Make Chelsea the first child to ever have not one, but two parents as presidents. I'm thinking that Willow might be a good choice here — serene and timeless, just like the most epic first family ever. Is the 1977 filter still around? Because I feel like that's time-appropriate. Put that face on some currency, please. Amaro here? Anyone?